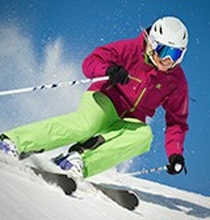 We provide first class ski and board servicing on-site with Wintersteiger computerised tuning offering belt & fine stone grinding & finishing. We offer a wide range of services including binding mounting, ski boot adjustment and blowing for a better fit, ski race tuning and edging. 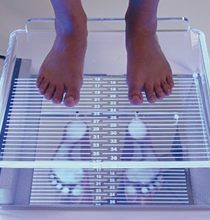 Servicing is important for a number of reasons. If your skis or board is poorly prepared and the edges are not sharp and you hit ice, it is like driving on a wet stretch of road on bald tyres – you’ll have no grip, which means little control of your speed and direction – edge sharpening is super-important for safety. If the bases are worn, damaged or dry they will drag or stick to the snow in certain conditions – not only will this mean you’ll be the last one down the hill and in the bar, it will also make them run inconsistently, harder to turn, and at speed can also cause unusual tracking or veering which is undesirable for obvious reasons. Servicing and even Hot Waxing can give your skis or snowboard a new lease of life… and don’t forget to dry and wax your kit when you get back from the snow to stop the edges from rusting too! Setting of base edge and side edge to factory spec. 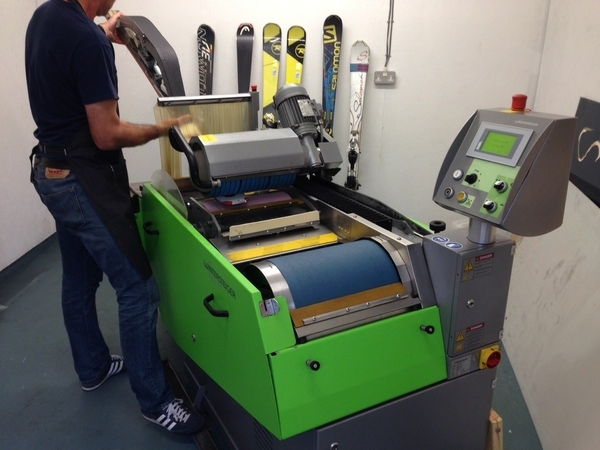 We provide first class ski and board servicing on-site with Wintersteiger computerised tuning offering belt & fine stone grinding & finishing. 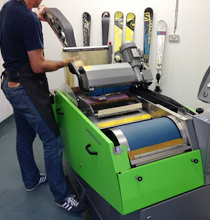 We offer a wide range of services including binding mounting, ski boot adjustment and blowing, race tuning and edging.